Dabo Swinney is an American college football coach. Check out this biography to know about his birthday, childhood, family life, achievements and fun facts about him. Dabo Swinney was born in Birmingham, Alabama, on November 20, 1969 to Ervil Swinney and Carol. He got his nickname ‘Dabo’ from his 18-month-old older brother who tried to call him ‘The boy’, which sounded like ‘Da Bo’. He went to the University of Alabama where he became a football player. He joined the Alabama Crimson Tide football program in 1989, as a walk-on wide receiver and went on to receive a scholarship. He was named Academic All-SEC and SEC Scholar Athlete Honor Roll member twice during his days at the University of Alabama. 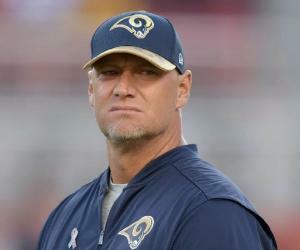 He played for three seasons at Alabama and received his degree in commerce and business administration in 1993 and later earned a master's degree in business administration in 1995. After completing his education, Dabo Swinney joined the Crimson Tide as one of their full-time coaches and was given the role to guide their wide receivers and tight ends. In 2001, he was released from his duties when the head coach Mike DuBose and his backroom staff members were sacked. 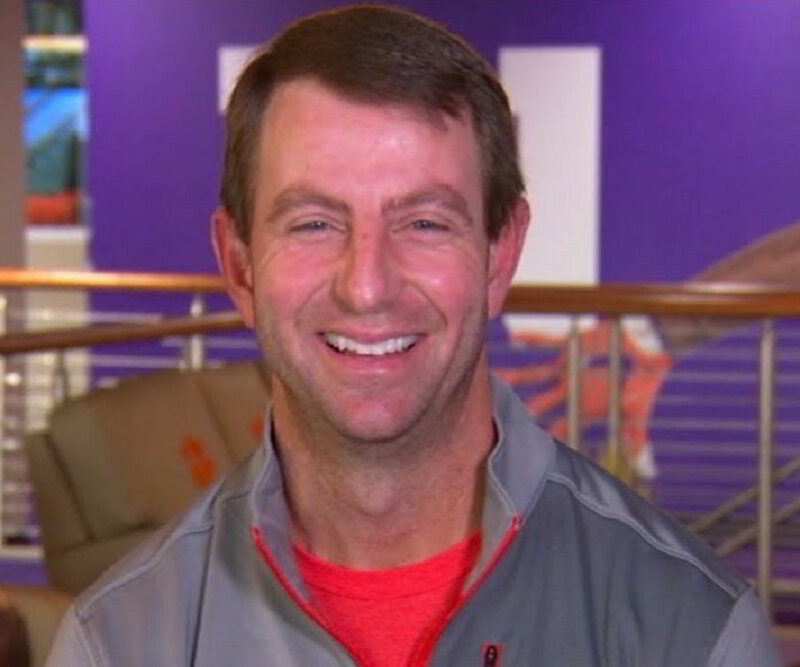 Dabo spent the rest of the year receiving his contractual payments from the club. 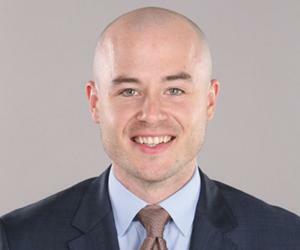 He was offered a job by Rich Wingo, his former coach, in Birmingham-based AIG Baker Real Estate. He accepted the offer and worked for two years at the company. Tommy Bowden, his former position coach at Alabama, offered him the role of an assistant coach at the Clemson University which he accepted. He later took over the role of Recruiting Coordinator from Rick Stockstill in 2003. After Tommy Bowden resigned in 2008, after just six games into the season, Dabo Swinney was made an interim head coach at Clemson. The team was languishing at the #9 position when he was given the charge but did well to go 3-3 in their first six games. Owing to his impeccable recruiting skills, Swinney was chosen over other potential candidates like Vic Koenning, the defensive coordinator of Clemson, and Brad Scott, the former head coach of South Carolina, for the role of the head coach. He fired Rob Spence, the offensive coordinator, and introduced a new tradition named the ‘Tiger Walk,’ where the coaches and players walk through the parking lot outside Memorial Stadium a couple of hours before they head inside for the final game preparations. After a series of good results including a 31–14 win over South Carolina in the annual rivalry game, Dabo Swinney was given the vote of confidence by the athletic director Terry Don Phillips and was assigned the formal role of the head coach. In 2009, his first full season, Swinney proved his doubters wrong as Clemson finished the season with a record of 9–5 (6–2 in ACC) to win the Atlantic Division title of the Atlantic Coast Conference. During the season, the team achieved three top-tier wins against Miami, Florida State (a 16 point win), and Kentucky (21–13). The year 2010 didn’t go well for him as Clemson recorded a 6–6 (4–4 in ACC) regular season. 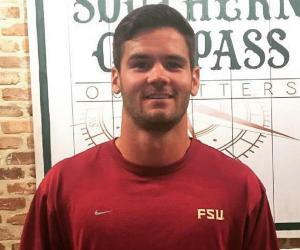 Clemson also lost against Florida State Seminoles. The fans turned against Swinney and athletic director Terry Don Phillips and demanded their sacking. However, Phillips again gave him the vote of confidence and kept him for another season, much to the frustration of the fans. The vote of confidence did a world of good for Dabo Swinney as he led Clemson to a record 10–3 season in 2011, including an ACC Championship—the first since its previous win in 1991. Clemson took another bold decision by appointing Chad Morris, a high school level coach, as their offensive coordinator. This also proved to be a brilliant decision as he brought a new high-tempo offensive approach to Clemson’s games and helped the team break several records. In 2013, Clemson registered a record third 10-win season in a row under Swinney, including a 38–35 win over Georgia. Swinney also achieved a record 32 wins in three years, the most by anyone in Clemson football history. The Tigers defeated seventh-ranked Ohio State in the 2014 Orange Bowl, to clinch the third Orange Bowl in the team’s history as well as their first BCS bowl victory. Swinney guided Clemson to their fourth 10-win season in a row under his coaching in 2014, thus making the Tigers one of the only four school teams to achieve the feat in the last four seasons. The season ended in a brilliant fashion for the Tigers as they played a match against South Carolina in which they defeated them 35–17 in Death Valley. Swinney continued making records after records as he ended the 2015 season with a 14-1 record, an ACC championship, and an appearance in the national championship game, in which his team fell short against Alabama. He guided his team to a win against #8 North Carolina (45-37) to win their 15th ACC championship as well as defeated #4 Oklahoma (37-17) in Orange Bowl. 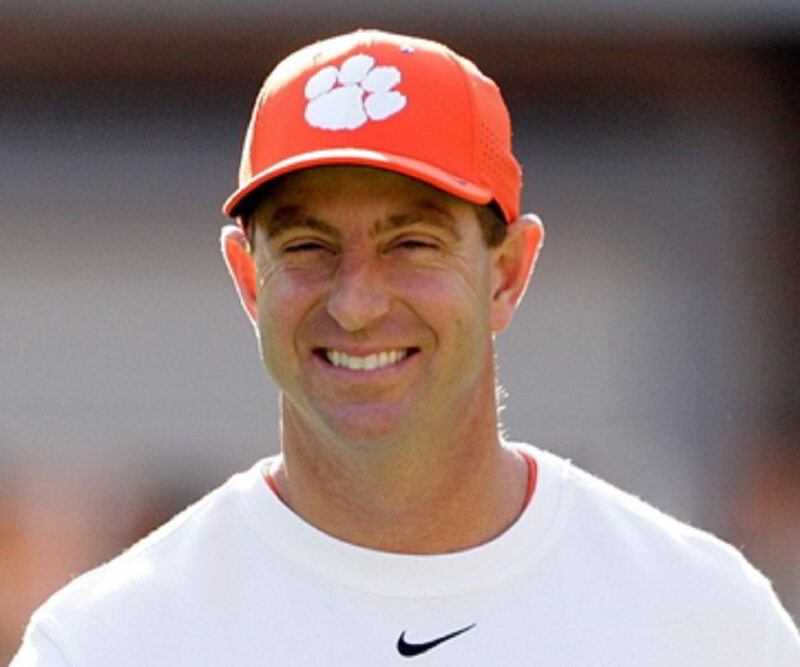 Dabo Swinney is the recipient of several prestigious awards, such as Bobby Dodd Coach of the Year (2011), ACC Coach of the Year (2015), Home Depot Coach of the Year (2015), Walter Camp Coach of the Year (2015), George Munger Award (2015), and Paul "Bear" Bryant Award (2015). 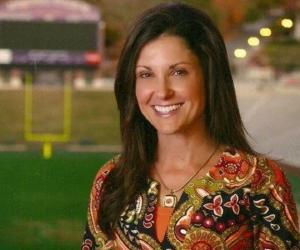 Dabo Swinney married Kathleen Bassett in 1994 and the couple has three sons: Will, Drew and Clay.